In the book the history of these two islands begins in Mycenaean times including reference to Homer's Odyssey, the palace of this hero, and a description of the archaeological finds from the Classical and Hellenistic eras. 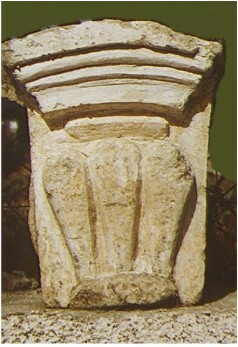 This is followed by a depiction of the Tetrapolis of Kefallinia, the historic city of Ithaka, and Roman activity in the islands. Bust of Odysseus Stavros, Ithaki. 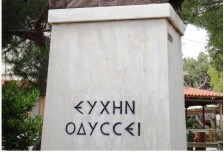 The inscription reads "With the blessing of Odysseus"
Afterwards in the Byzantine period with the collapse of city life monasteries, described here in detail for the first time in English, became the centers of action. 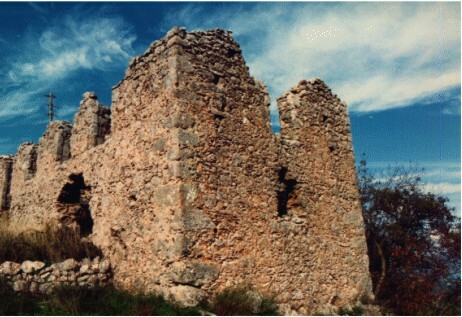 In the following Latin era newly created feudal barons built fortress manor houses, remnants of which can still be seen and are illustrated in the book.